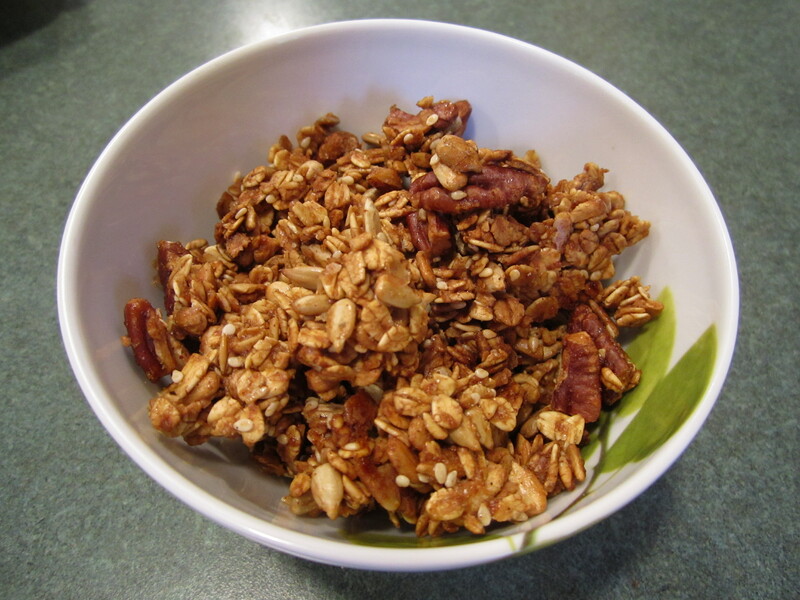 There is a lot of granola out there that you can buy but I’m always disappointed either with the flavor or the freshness or both. 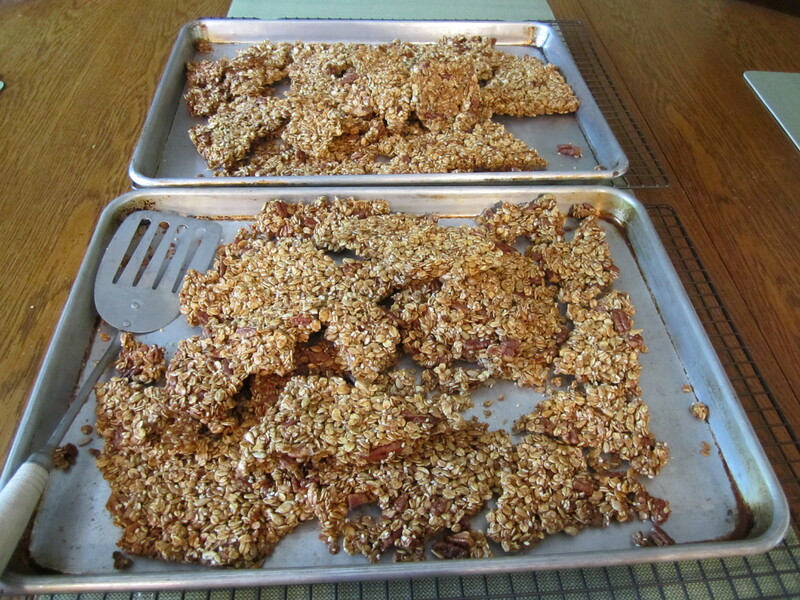 And most include some kind of dried fruit which I like but not in granola. I’m pretty sure my daughter steered me to this recipe (she will have to confirm) and I’ve been making and tweaking it for several years now. It can be a nutritious snack or a simple breakfast with milk. 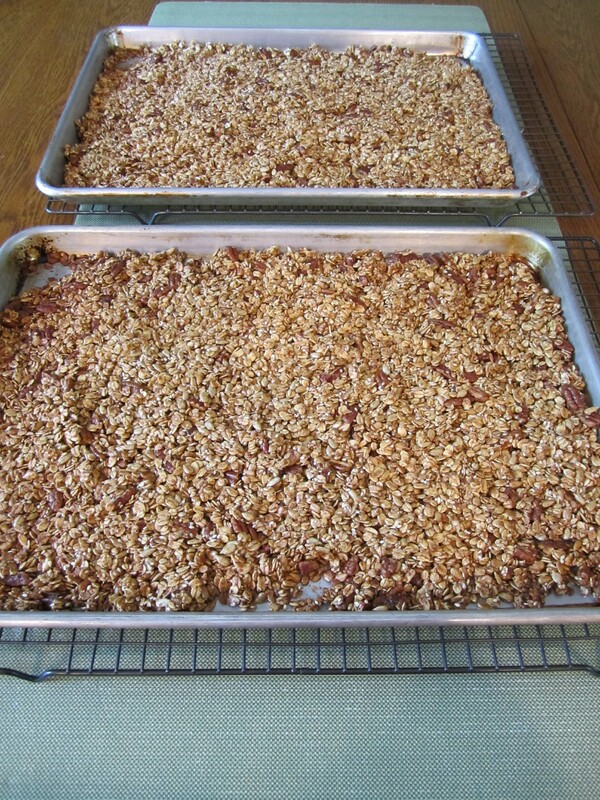 The recipe makes quite a bit which is great but you do need to store it in the refrigerator. So you will need to make some room for it. The one not so common ingredient is the brown rice syrup. I used to be able to find it in Hannaford but they no longer carry it. I now have to go to Mrs. Green’s, which is in the town next to ours. Not convenient but I think it makes a difference. In a pinch though, I have substituted honey. Set racks in the upper and lower thirds of the oven. Preheat the oven to 300 degrees. Spray 2 large rimmed baking pans with canola spray. 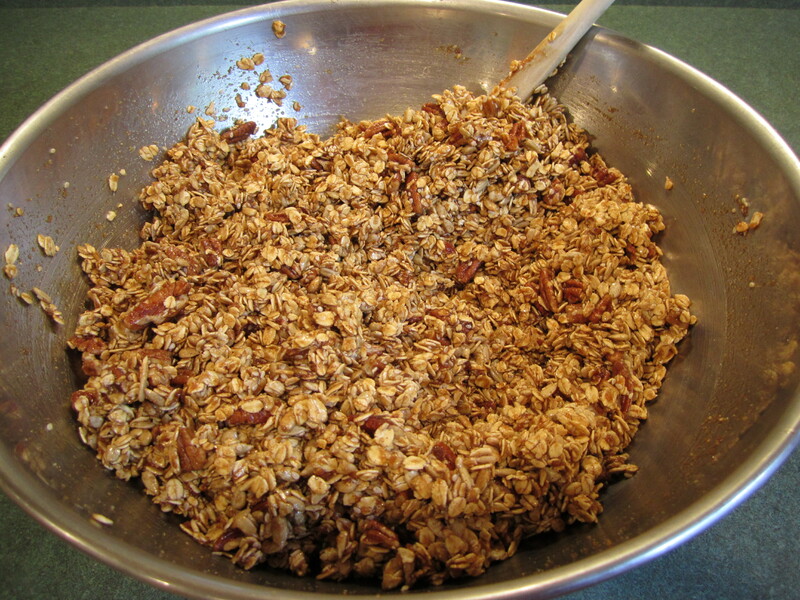 In a VERY large bowl, combine all of the dry ingredients. 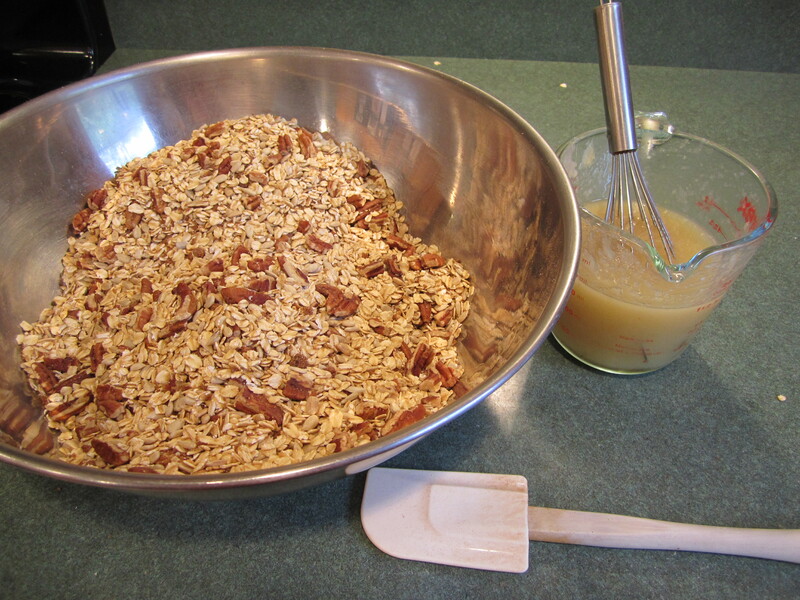 Stir first with a utensil, my choice is a rubber spatula, and then using your hands (clean please), mix well breaking up any brown sugar. Combine the liquid ingredients, stirring with a whisk. 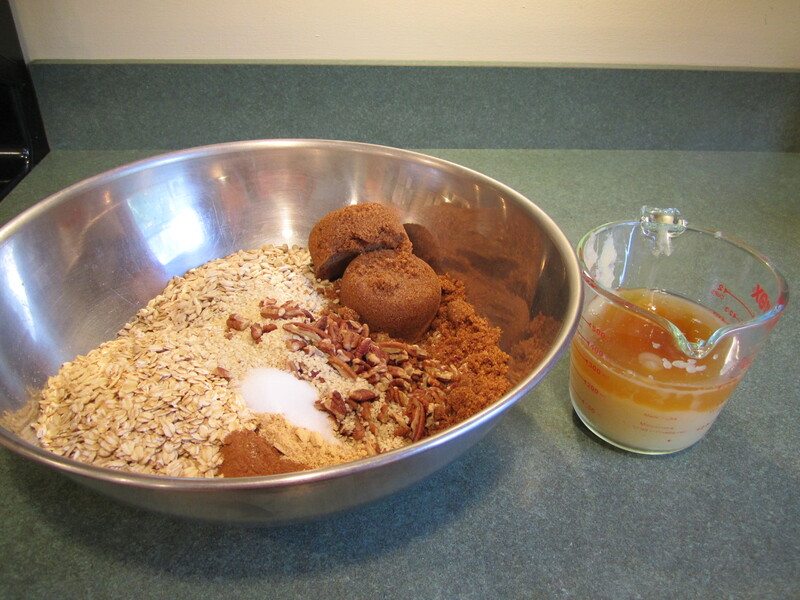 Pour liquid ingredients into dry ingredients and stir until thoroughly combined. 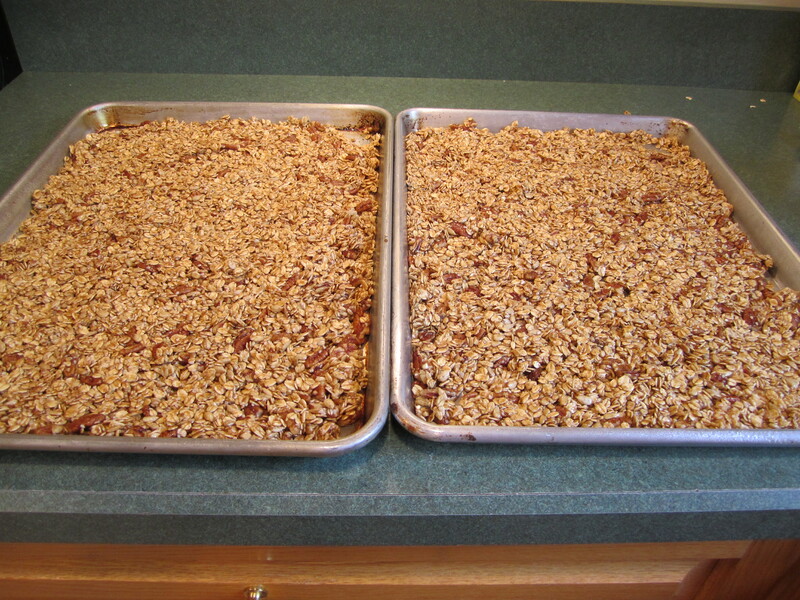 Spread the mixture evenly on the two pans. Bake for 40 minutes, switching the pans every 10 minutes. 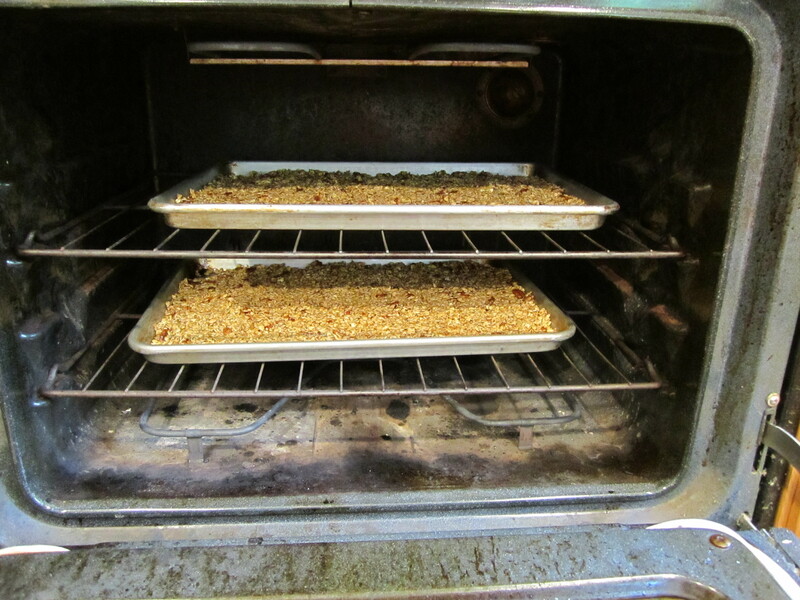 Let granola cool for 1 hour. It will seem soft coming out of the oven but will crisp up after cooling. 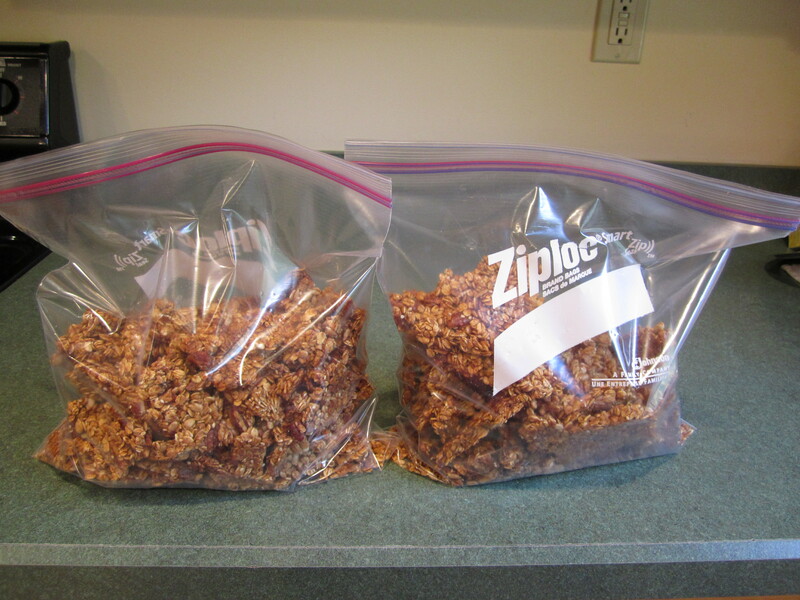 Break into chunks and place in a very large container or 2 plastic one gallon ziploc freezer bags. Store in refrigerator. It keeps for a really long time. I had a small amount for 6 months that I had forgotten about and it still tasted good. Yummy, enjoyed it with a cup of coffee. Thanks. Your welcome! So glad you enjoyed it!